The family-oriented Festa D’Italia event will feature music and live entertainment, Italian specialty foods and pastries, wine tasting, art exhibits, culinary demonstrations, games, rides, crafts, fun-fulfilled all-you-can-eat contests and more. The event is set for this weekend on the sprawling lawns of the picturesque hilltop mansion, Casa Belvedere. A showcase of alluring vehicles will appear throughout the weekend. On display will be Alfa Romeos, Ferraris, Fiats, Lomborghinis, Lancias, Maseratis, Vespas and Ducatis. 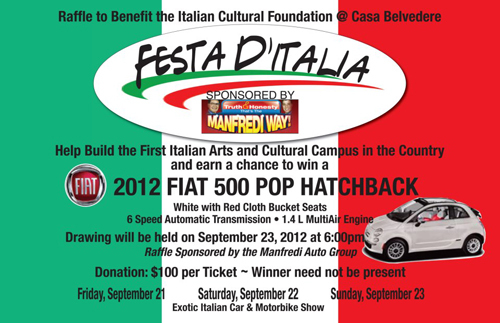 For additional information about these events, the Italian Cultural Foundation may be reached at 718-273-7660. When: Friday, 5PM – 9PM, Saturday, 11AM – 8PM, and Sunday from 11AM – 7PM , September 21,22,23. The Staten Island zoo babies are ready for their debut! Visit to see how they are being cared for and raised. Some of the babies being introduced include a Fennec Fox, Groundhog, and Scops Owls! Stop by and welcome these critters to the Staten Island Zoo family. St. Luke’s offers a free, one-hour community concert featuring two chamber works. St. Luke’s will donate $5 to City Harvest for every CD purchased. First come first served seating. Tickets: Admission is free; attendees are encouraged to bring non-perishable food donations for City Harvest. It is has become a wonderful tradition. The dance company, the Beliloveables, and guest dancers will perform solos and group works from the Duncan repertory centered around the theme of nature, a subject Duncan shared with Austen. Bring your friends and a picnic: it promises to be a memorable evening. Location: Alice Austen House, 2 Hylan Blvd at Edgewater St.
Meet for a morning meditation class with Ven. Thupten Phuntsok. Sit by the swamp for a spell and enjoy a story about the critters that live nearby. Suitable for ages 3-6 with adult. Registration required. For more information or to register please call 718-351-3450. Tours of the Conference House. There is a charge for group tours which are booked separately. Please visit here or call 718-984-6046 for more information. Location: The Conference House, 298 Satterlee St.
Join the Greenbelt Educators on this introductory nature hike through the Nature Center trail. 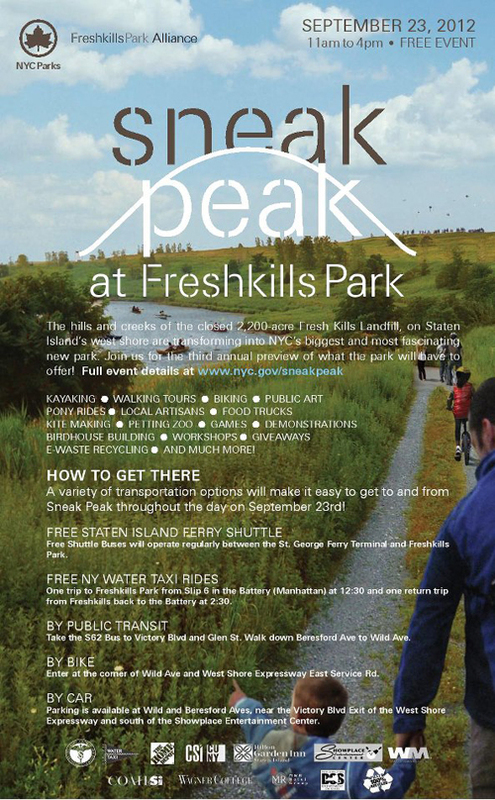 Learn about the animals and plants that live here and how they make their homes on Staten Island. This easy, interpretative hike will be approximately one hour long. Registration highly recommended. 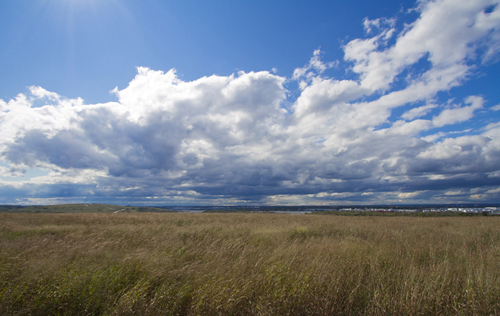 The hills and creeks of the closed 2,200-acre Fresh Kills Landfill are beginning their transformation into NYC’s biggest and most fascinating new park, on Staten Island’s west shore. Visit the third annual preview of what the park will have to offer! Come get your holiday shopping out of the way earlier than all your friends at this antiques, crafts and collectibles market. Search the tables for that one perfect and unique gift. Enjoy your island and have a Fantastic Weekend!